The advanced seaPro Plus offers all the features of seaPro Standard plus a host of additional functions designed to meet the needs of those sailing further afield. seaPro Plus is typically fitted to the smaller commercial patrol or harbour craft / offices and many "bluewater" yachts, offshore racers, powerboats and motor yachts. 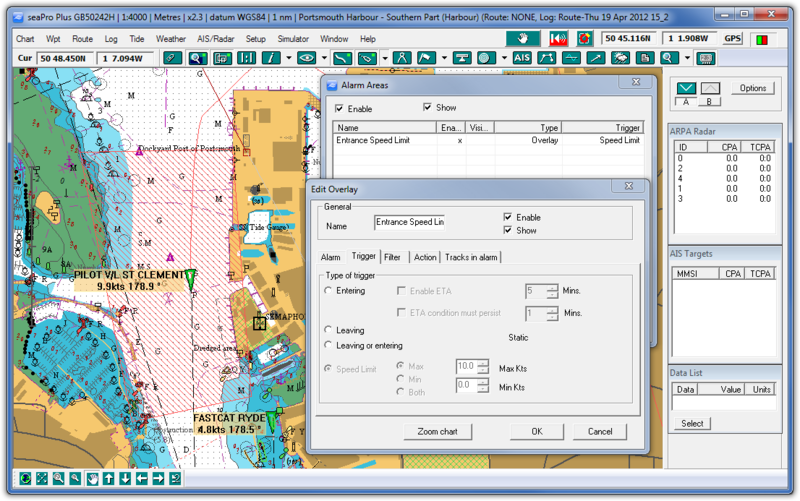 seaPro plus supports the ARCS Navigator raster chart service (with its weekly update facility) and also ENC (S57) vector chart service for both UKHO and Primar chart suppliers (available through Euronav). 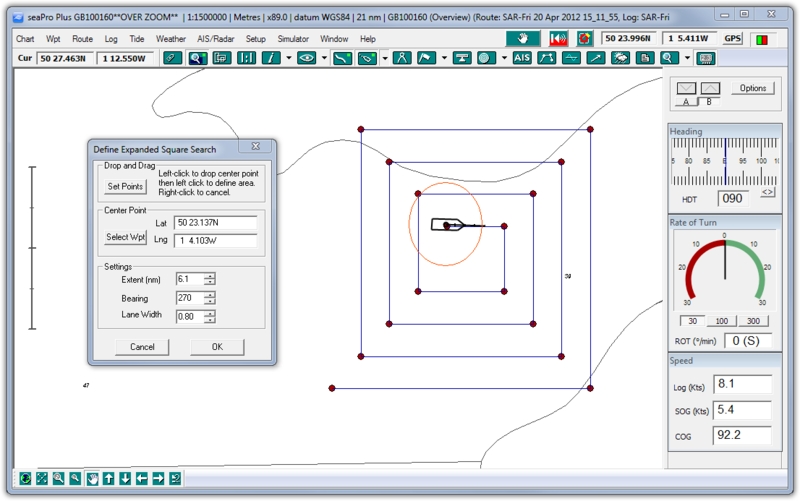 Search & Rescue - Create standard SAR patterns taking tidal information into account. Overzoom - This feature allows the user to zoom into a chart beyond the normal viewing level. Multiple Overlays & Databases - This feature allows multiple overlays and databases to be displayed simultaneously. 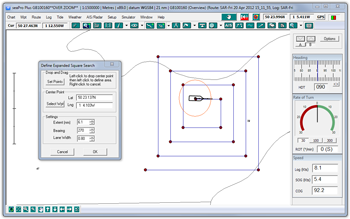 Chart corrections - This function allows you to undertake your own chart corrections on both vector and raster charts. Great circle planning - This makes planning an ocean passage very simple. Just put a waypoint at the start and finish of your route and seaPro will fill in the rest giving you a great circle track. Advanced zone alarms - Set multiple alarm zones using polygon, rectangular or circular areas. Control what triggers the alarm, leaving or entering the alarm zone etc. Enhanced logging - Any supported incoming instrument data can be logged. The user can determine the intervals at which this information is recorded. Display previous track concurrently with active track - for repeating a known safe navigation passage . Other features of seaPro Plus include animated log replay - own vessel and targets (AIS and ARPA), instrument log graphs, gyro interface and multiple NMEA interfacing. Act as a NMEA server, distributing NMEA 183 data (GPS instruments, ARPA data etc) across a TC/IP network or across the internet. seaPro Plus demostrating on of the advanced Search and Rescue features. Click to enlarge. The above only touches on what seaPro can do - download the demo to fully appreciate how navigating with seaPro can make your time at sea easier and safer. Expand the seaPro interface to a full AIS transponder to allow easy changing of vessel static data and changes to destination, navigation status etc., as well as sending AIS text messages. This option adds to the feature of AIS receive already in seaPro.